C-Path's Predictive Safety Testing Consortium (PSTC) serves as a neutral third party in the independent assessment and validation of drug safety tests. 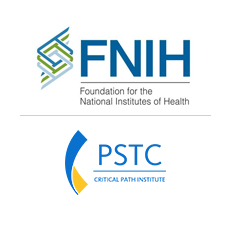 PSTC was formed and officially announced on March 16, 2006 by Health and Human Services Secretary Michael Leavitt, FDA Commissioner Dr. Andrew von Eschenbach and FDA Deputy Commissioner Dr. Janet Woodcock, who identified the consortium as “unprecedented” and a “shining example” of the type of work the FDA would like to see conducted. PSTC brings together pharmaceutical companies to share and validate innovative safety testing methods under advisement of the FDA (U.S. Food and Drug Administration), its European counterpart, the EMA (European Medicines Agency), and PMDA (Japanese Pharmaceutical and Medical Devices Agency). 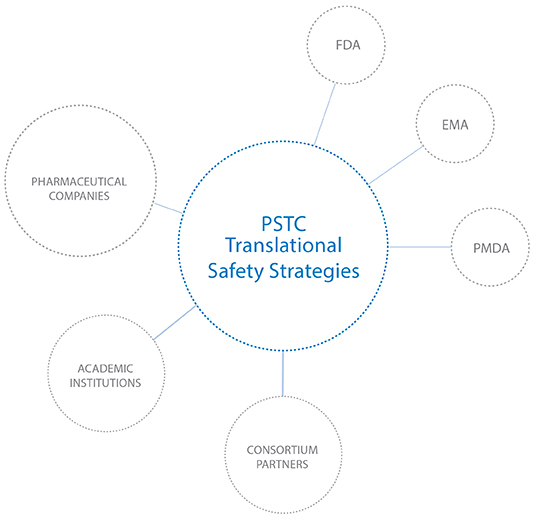 PSTC was formed and officially announced on March 16, 2006 by Health and Human Services Secretary Michael Leavitt, FDA Commissioner Dr. Andrew von Eschenbach and FDA Deputy Commissioner Dr. Janet Woodcock, who identified the consortium as “unprecedented” and a “shining example” of the type of work the FDA would like to see conducted. The FDA, EMA and PMDA participate as advisors, along with more than 250 participating scientists across industry and academia. The mission of PSTC is to identify new and improved safety testing methods and submit them for formal regulatory qualification by the FDA, EMA and PMDA. The tests used to determine drug safety have not changed in decades. Although companies have developed newer safety testing methods, these are not generally accepted by the FDA or EMA as proof of safety. This is due, in part, because the methods used for testing are often different from company to company. That discrepancy leaves regulatory scientists uncertain about which methods should be preferred. Another key factor is that the tests have not, in the past, been independently validated. PSTC now fills that important role and serves as a neutral third party to assess drug safety tests. PSTC’s 15 corporate members have the same goal: to find improved safety testing methods. The members share their internally developed methods and test these methods developed by one another across the Consortium. Ten EMA and 28 FDA scientists serve as advisors along with more than 250 participating scientists. C-Path leads the collaborative process and collects and summarizes the data. The testing is done with pre-clinical and clinical safety biomarkers in six working groups: kidney, liver, pancreatic injury, skeletal muscle injury, testicular toxicity, and vascular injury. All biomarker research programs have a strong translational focus to select new safety tools that are applicable across the drug development spectrum. Nov 22, 2017 What Evidence Do We Need for Biomarker Qualification?